Can we all just agree that gingham is my thing? I'm addicted to gingham items and it will never change. Cool? Cool. Following yesterdays post, this is another work look I sport during the 9-5 week. I need to remind you that my office is very casual and even wearing heels with this look is sometimes a bit much. But I love it because I can wear so many things to work. Really, nothing is off limits (except for spaghetti straps). But I have found one thing to be very clear: add a blazer to any look and look 100 time more put together. It's a fact of life! 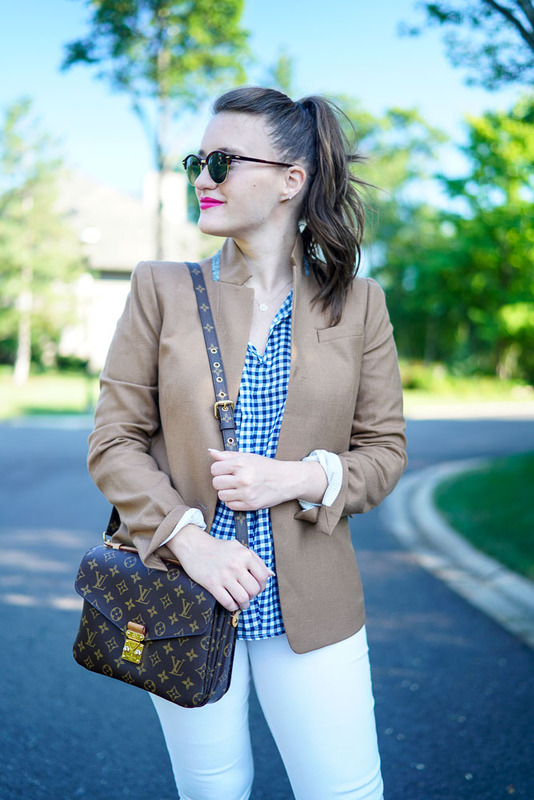 Excited I can finally start to bring out my favorite blazer (sticking it out through the heat) again -- I own this in two colors! ALSO DID YOU SEE THE NEW ARRIVALS? I'm dying and going to the store right after work. I *need* this vest in my life right now. Navy or green? PS did I mention this top is only $14? Love this outfit! 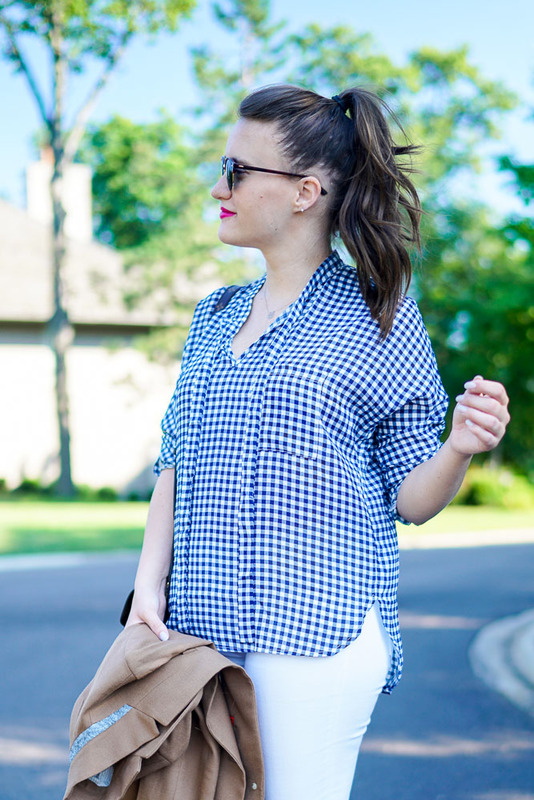 I have been looking for a gingham top and this one is so cute! This top is perfect! 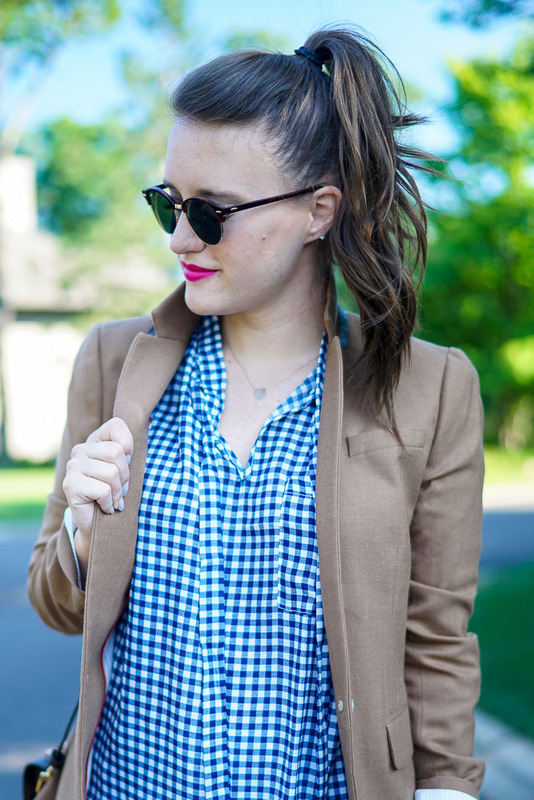 I love that it's a bit more oversized and can easily transition to fall! I LOVE the Louis bag!! Such a different style than the bags I have from them. Cauute! 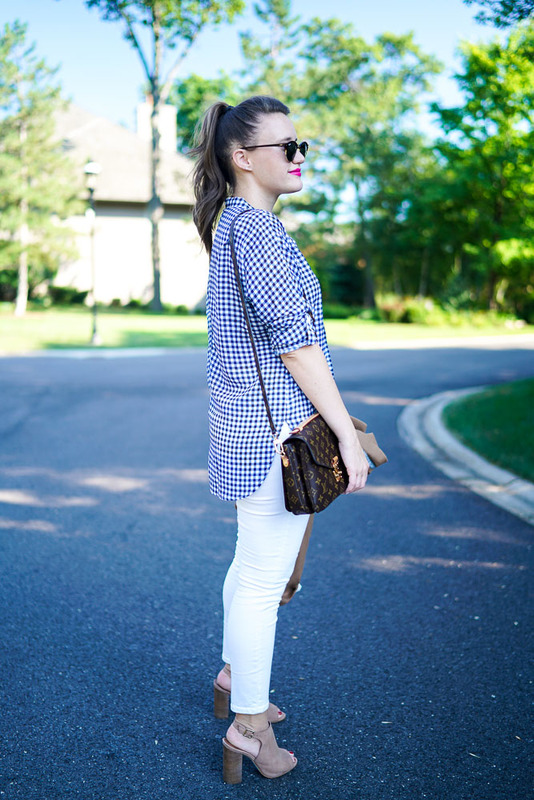 I love gingham, too! It's funny because my husband commented on my half tuck top yesterday and I said it was kinda my signature look! Get the blue best- it's your color! I love blue and white outfits! 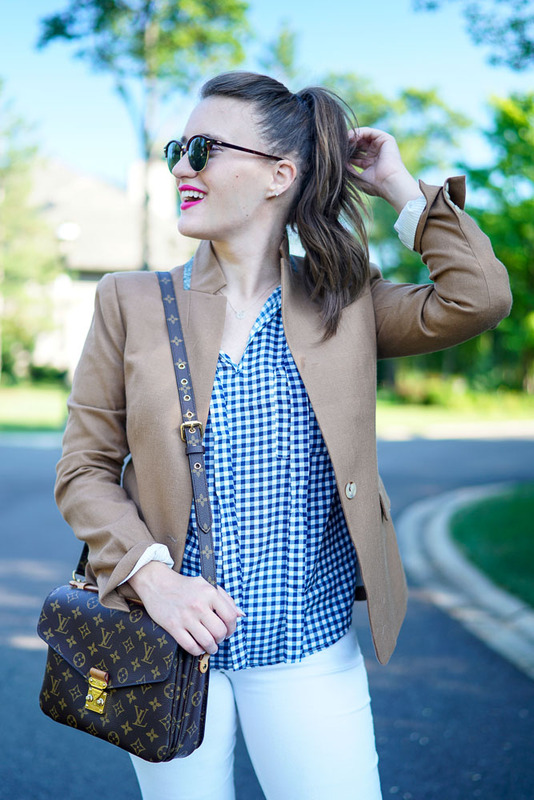 You can never have too much gingham! I seriously love it wayyyy too much.